I know I’m late to the party on this one and if I’m brutally honest, it took me about a year to read this book. The majority of it was finished in the last week. Turns out all I need to blaze through a novel is a commute and an hour for lunch. I don’t know why I was so slow to get through Good Omens because it is an absolutely brilliant read. I love anything that takes a practically ancient idea and flips it around so that I have to spend some serious time reconsidering aforementioned idea. Good Omens is a humourous novel but still manages to make my head spin when it comes to thinking about Good versus Evil as well as many Christian stories I was raised with. Gaiman’s American Gods did something similar in regards to what a modern person worships and who our gods are in this modern age, so it’s easy to see his hand in part authoring Good Omens. I admit I haven’t read much of Terry Pratchett’s work, but I seen enough to know that he can make me laugh audibly on the train to work like few other authors can. Good Omens is a story about the end of the world. It is about the Antichrist, the Four Horsemen of the Apocalypse, an Angel who owns a bookshop and a Demon who owns a Bentley. It is hilarious and thrilling. The entire book builds up to a destined climax and as a reader the pages turn faster as the story progresses. The large cast of characters are all colourful and fascinating. Watching their reactions to the world going very literally to hell is half the fun of the book. What Terry Pratchett and Neil Gaiman have created together is a thoroughly hilarious yet intellectually stimulating story that could only have been woven by two of the finest authors in the fantasy genre. A must read for any fan of the fantastic or lover of a laugh. 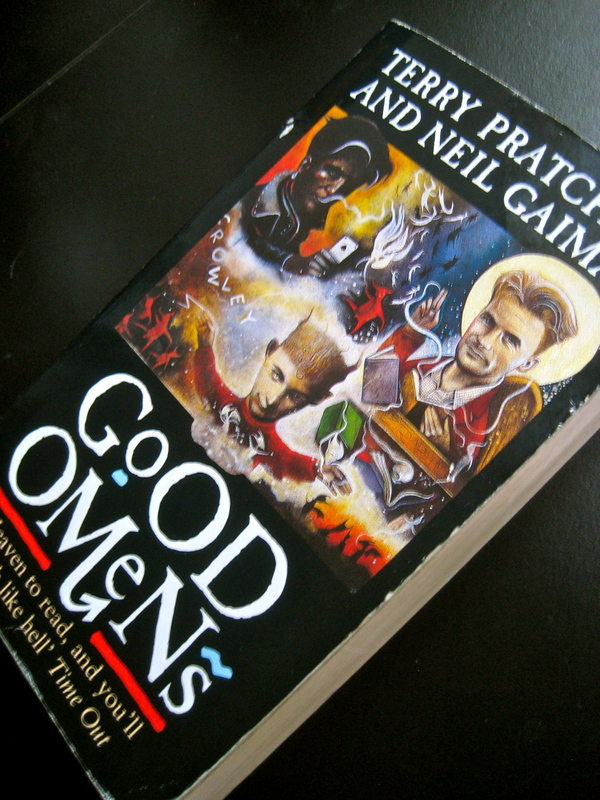 This entry was posted in Books and tagged Adam, Aziraphale, Crowley, Evil, Fantasy, Good, Good Omens, Late to the Party, Neil Gaiman, Recommendation, Review, Terry Pratchett by Jonathan Day. Bookmark the permalink.